The “duet” of calls—to follow God and to become a mother—began with Sarah’s story in Genesis and continues in God’s people today. 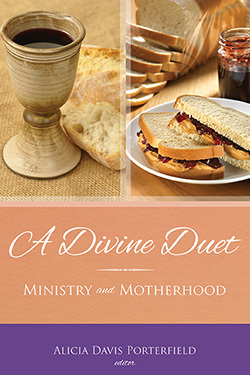 As more women follow God’s call into ministry, many are discovering the power of this duet. These women are gifted for ministry, trained and shaped through excellent educations, and affirmed in their call. They serve as pastors in churches, on campuses, in impoverished areas, prisons, hospitals, hospices, the military, and in academia. And many of them are also called to be mothers: birth mothers, adoptive mothers, mothers to other people’s children, mothers to their students. As they continue to follow God, the call story and the birth story combine, and the duet rings true. 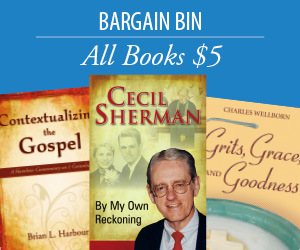 Each essay in this inspiring collection is as different as the mother-minister who wrote it, from theologians to chaplains, inner-city ministers to rural-poverty ministers, youth pastors to preachers, mothers who have adopted, birthed, and done both. An Atlanta native, Alicia Davis Porterfield earned a BSEd from the University of Georgia and an MDiv and ThM from Duke University Divinity School. Alicia and her husband, Eric, also a pastor, are grateful to be learning, growing, reading, and singing with Davis, Luke, and Thomas. This rich collection inspires all of us to acknowledge our own diverse calls and carry them with grace and gratitude. This collection is as important as it is beautiful. The stories of Baptist women who have answered the call to ministry and who have at the same time mothered children are instructive for us and for churches as we all learn to honor and celebrate the contributions of minister moms. These stories stretch our imagina- tions, inspire us, and initiate among us new conversations about ministry and motherhood. We owe much thanks to Alicia Porterfield for dreaming this book into reality.